Over the past year or so, Artie and I attended a couple dozen potluck events – Supper Clubs, work events, parties, etc. And pretty much every single time, I brought Rice Krispie Treats. It is my go-to potluck item. Easy to prepare, easy to transport, sort-of homemade, relatively low-cost, enjoyed by all. All the wins. Recently I was wondering how I became the Rice Krispie Treat lady at every function, and I remembered that while I was writing my dissertation, I had to make a dessert for a fundraiser bake-off at work. What could be easier than Rice Krispies? Nothing. And so the obsession began dessert niche was formed. Rice Krispie Treats are made with cereal, so they are a part of a balanced breakfast, right? Given how many Rice Krispies I’ve made, I’ve taken to experimenting with flavors and mix-ins. Some were winners (sprinkles!) while others were not so good (candy corn). But one recipe that consistently receives rave reviews is Salted Caramel Rice Krispie Treats. So by popular request, I give you the recipe (it is so easy, I almost hesitate to call it a recipe!). Rice Krispie Treats come together quickly, so start by getting all the ingredients and dishes prepped. Remove the caramel candies from the bag and their individual wrappers. Using a sharp knife or kitchen shears, cut the candies into quarters. 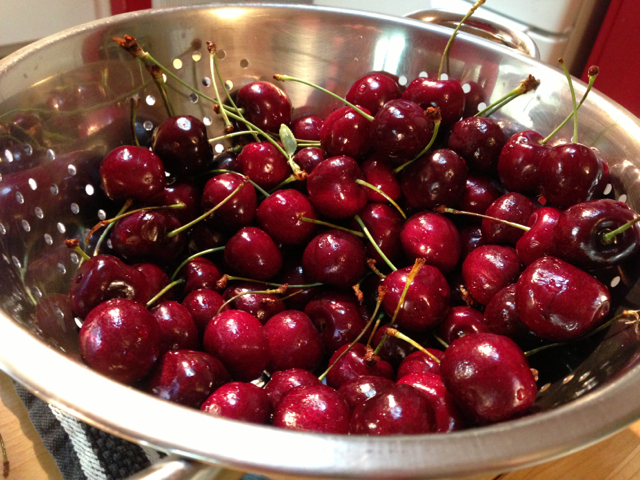 Do NOT put these in a bowl – they will end up stuck together (#learnedthehardway). Instead, lay the chopped up candies on a piece of parchment paper or wax paper. Use one tablespoon of butter to grease a 9×13 baking dish. Hold onto the rest of that little pat of butter for later. In a large pot, melt 7 tablespoons of butter over medium-low heat. When the butter is melted, add the entire bag of marshmallows. Stir until the marshmallows are completely melted. Add about 10 cups of Rice Krispies cereal and a pinch of salt. Pour about half the mixture into the 9×13 pan, pushing into an even layer with the back of the spoon. Sprinkle evenly with the chopped caramel candies. Top with the remaining Rice Krispies mixture. Use the little pat of butter left over from earlier to grease a sheet of wax paper. With the greased side down, use the wax paper to gently press the Rice Krispies into the pan. Sprinkle the top with just a little bit of salt. Press down to make sure the salt adheres. Then comes the hardest part- allow the mixture to cool for at least an hour. The Rice Krispies will be much easier to cut if you let them sit for a while, but let’s be clear that I usually dig in right away. Salted caramel Rice Krispie treats x 2 minus quality control bites. This “recipe” is pretty flexible – you can experiment with less or more butter, marshmallows, or cereal to get the flavor and texture you like best. You can also experiment with other mix-ins like chocolate chips, crushed cookies, sprinkles, etc. 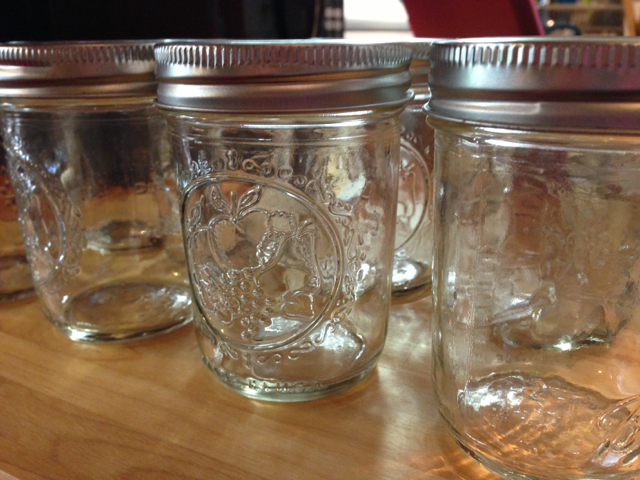 I have found these will keep in an airtight container on the counter for a few days (if they last that long!). I’ve also been known to freeze individually wrapped leftovers for a sweet weeknight treat. Enjoy! 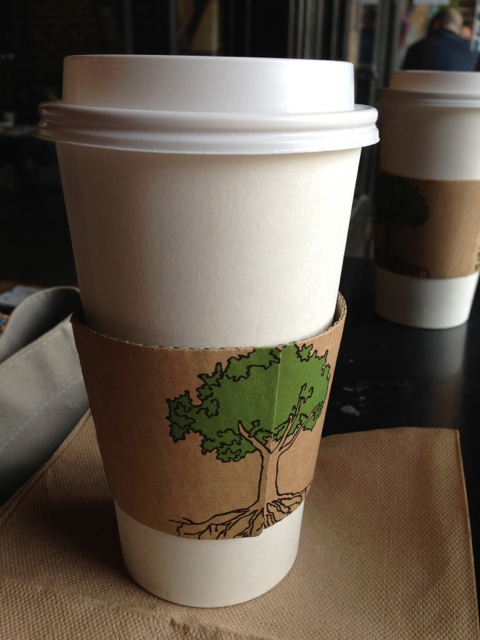 Windy of the House Blend Family tagged us in this-here blog hop, so let’s play. Answer the following questions, then tag someone else. Easy enough. Jill: After wrapping up my 219-page masterpiece of a dissertation, I’m taking a little time off from writing to read all the books and watch all the Netflix. When I get tired of those two things, I’m going to try to publish all the articles based off the aforementioned dissertation. Oh yeah, and maybe go back to posting on this blog or my other blog. Artie: Photographing the AIA Top 100 Buildings in Florida for the new blog I’m trying to create: A Place Blog. Because I can’t keep up with one blog so I thought I would try to keep up with two. Artie: How is this different from the question about how my writing process works? Artie: We make no attempt to post regularly. It’s more of “here is a recipe we tried and we thought you might like it, too.” And because we often forget where we found good recipes, the blog serves as a catalog of things we like. Sorry to people who subscribe to our blog expecting regular content. Jill: I love to write. When I was little, I would always write stories (which were never very good). I’ve since accepted that I’m not ever going to write a heartbreaking work of staggering genius in the fiction category, but I’m fairly proficient in both academic writing and smart-aleck blogging. Artie: That’s a good question…for the blog I’ll write a blog entry on something I will want to make in the future so I know where to find it later. So it’s kind of self-serving in a way. Jill: I think of something I want to write about. I make a note in my phone/planner/scrap of paper. I run out of time/lose the piece of paper/forget about it. Finally I sit down to blog and just make it up as I go along. But seriously, I believe in sloppy first drafts and lots of editing. Artie: Specifically for the blog, as I’m cooking something, I jot down ingredients and amounts in a little notebook. I try to document in photos every step of the process, even if I know the photos won’t end up on the blog. Then I can recreate the recipe later. 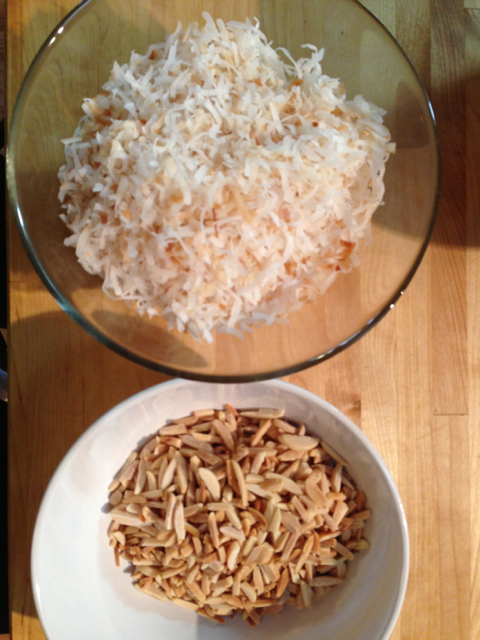 I go in the blog, drop in the photos I want to use in the order of the recipe and fill in the text. So on to tagging! 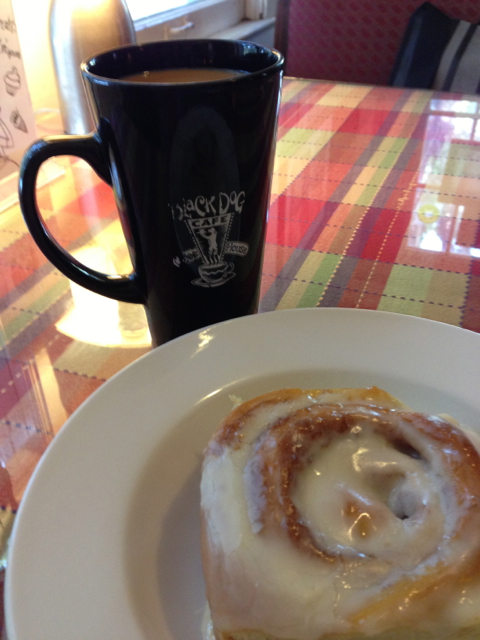 Who wants to take the Blog Hop baton and run with it? 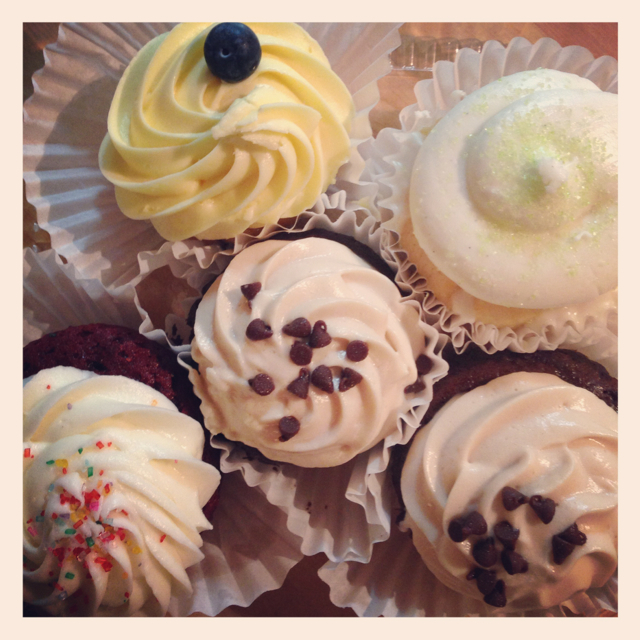 When it comes to cupcakes, Artie and I pack a one-two punch: he makes a delicious cupcake and I make a mean frosting. To be honest, my real favorite part is the frosting. I could probably (okay, I have!) eat frosting with a spoon. There are lots of great types of frosting you can make, but cream cheese frosting is one of my favorites and also one of the easiest to prepare. And it tastes delicious. In a stand mixer or with a hand mixer, cream together butter and cream cheese. Add powdered sugar and beat slowly until incorporated. Once incorporated, increase the speed of the mixer and beat frosting until smooth and fluffy. Add any flavorings you desire and mix until fully incorporated. 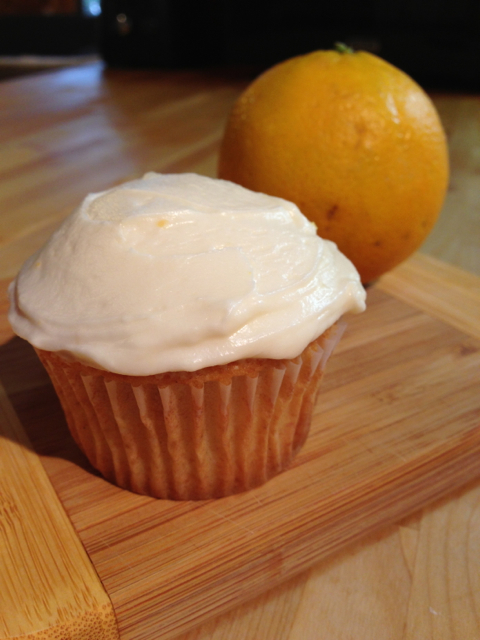 For Artie’s cardamom and orange cupcakes, I used the zest of an orange, a splash of cointreau, and a splash of vanilla. 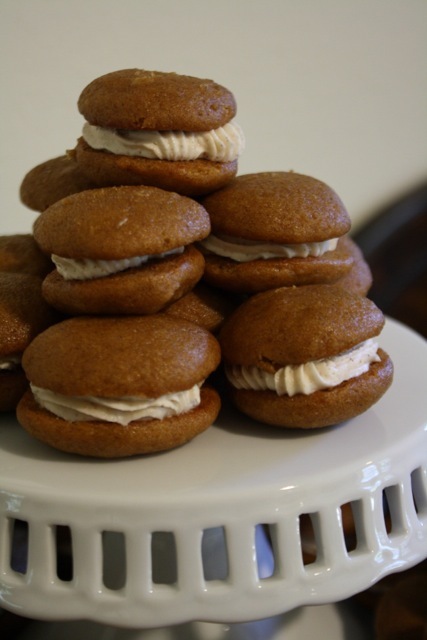 For my pumpkin whoopie pies, I used a healthy shake of cinnamon. Experiment with your favorite flavors and have fun coming up with tasty new combinations. Frost cupcakes with a pastry bag or a spatula. Store leftover frosting (if there is any!) in a container in the refrigerator. 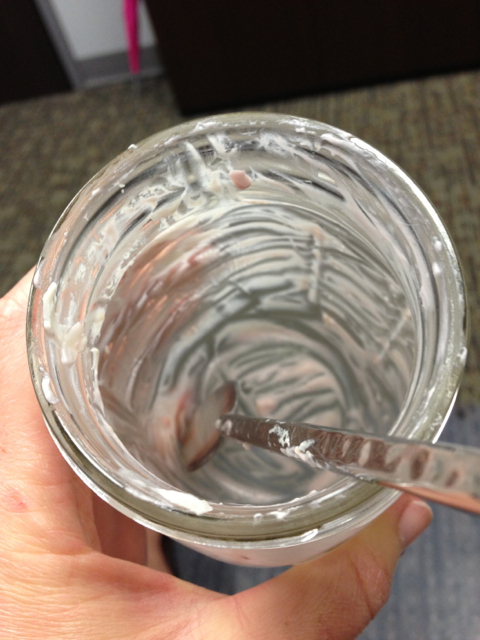 This is a great go-to frosting that requires relatively few ingredients and is very versatile. Enjoy! Gaines Street Pies: Figure Four (half ham/half eggplant) and Southern Style Greek salad. Artie and I often split the small pie and a salad on a Friday night when neither of us feel like cooking. 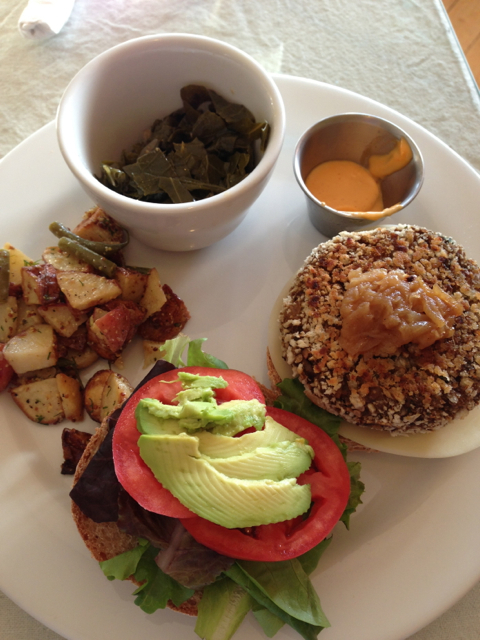 Sweet Pea Cafe: Buffalo Fried Tofu sandwich with hummus and raw veggies. Spicy and satisfying. Their hummus is the creamiest. When I’m looking for something lighter, I go for the Black Bean Burger. 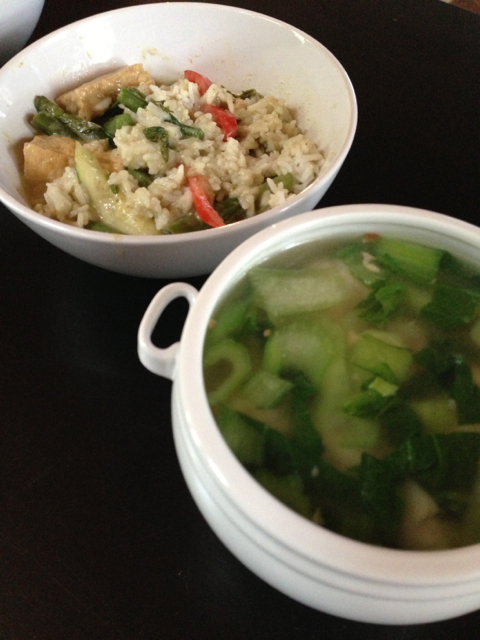 Siam Sushi: mild tofu green curry with broth rice and wonton soup. Best. Curry. Ever. I also really like the Tom Kha soup with tofu and the broccoli with garlic. Paisley Cafe: Roasted Vegetable Sandwich with Tomato Bisque. The chicken salad croissant is also good. Paisley is a good lunch spot with tasty sandwiches. If you are looking for good, local food in Tallahassee, I would recommend checking out one of these places. 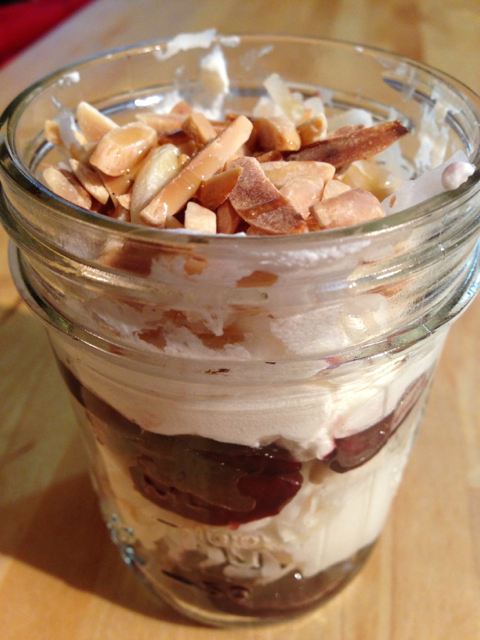 A few weeks ago, I found a recipe on Pinterest for Roasted Cherry Parfaits. 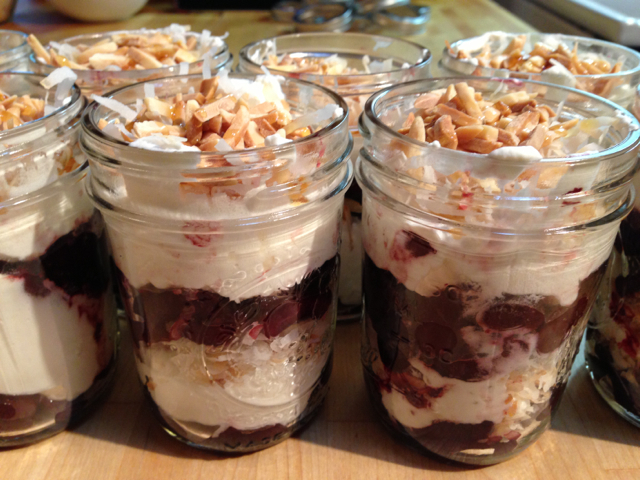 Cherries are in season and I’ve been looking for an excuse to make these yummy looking parfaits. When we went to a breakfast for dinner potluck, it seemed like the perfect occasion. And they were delicious. The end. I should probably start by saying that this post is not sponsored by Sweet Grass Dairy and I did not receive any products from them for this endorsement. 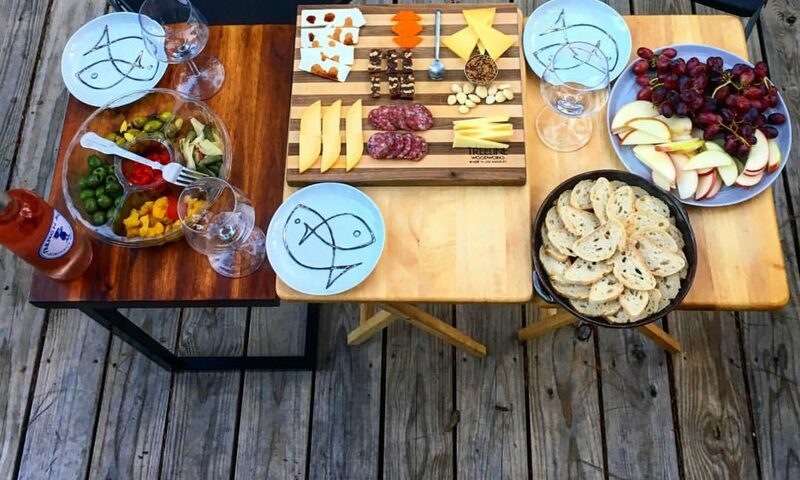 I just really like their cheese and thought I would share some of my favorite ways to serve it. Pimento cheese. Not normally something I would say I like. Growing up, those sandwiches with the bright yellow/orange filling and the little red bits weirded me out. I also don’t really like mayonnaise. 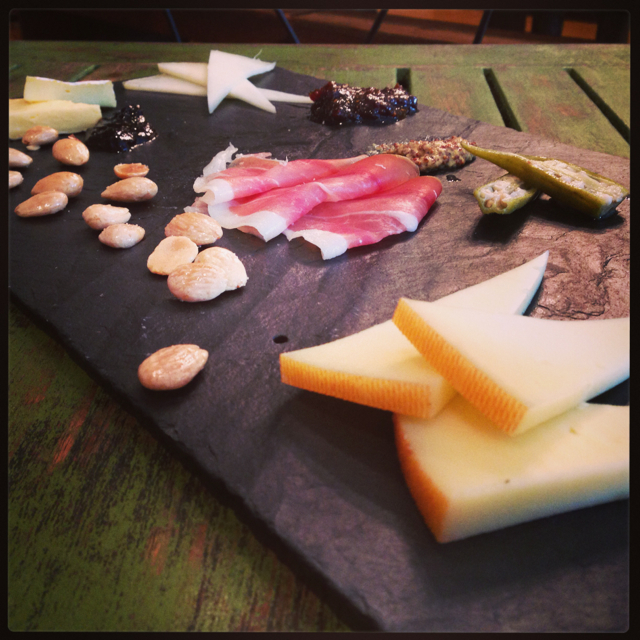 It wasn’t until I (reluctantly) tried the pimento cheese at Sweet Grass Dairy that I fell in love. 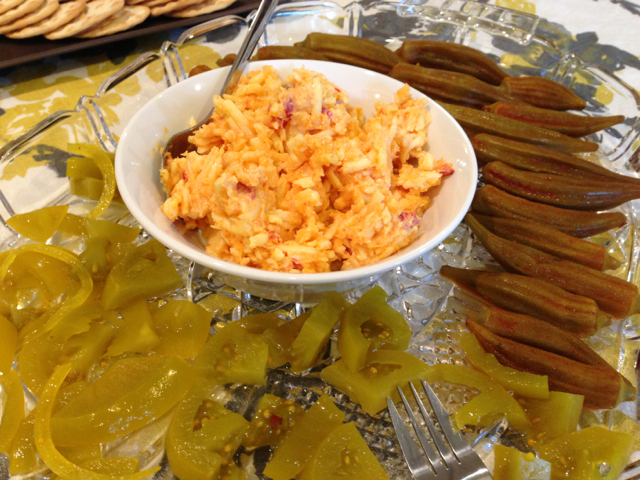 The first time I tried this pimento cheese was at a wine and cheese tasting. It was tucked into a deviled egg. I was pretty sure I wouldn’t like it, but I didn’t want to say so until I gave it a try. And I was pleasantly surprised. The pimento cheese at Sweet Grass Dairy has great texture and flavor. It is creamy, tangy, and slightly spicy with just enough mayo to hold together the delicious Thomasville Tomme cheese and Piquillo peppers. Oh my. This pimento cheese is perfect on crackers, on crusty bread, in a deviled egg, or by itself on a spoon (don’t judge!). More than once, I’ve gone to a potluck with a tub of this cheese and a sleeve of crackers and there is never any leftover at the end of the night. 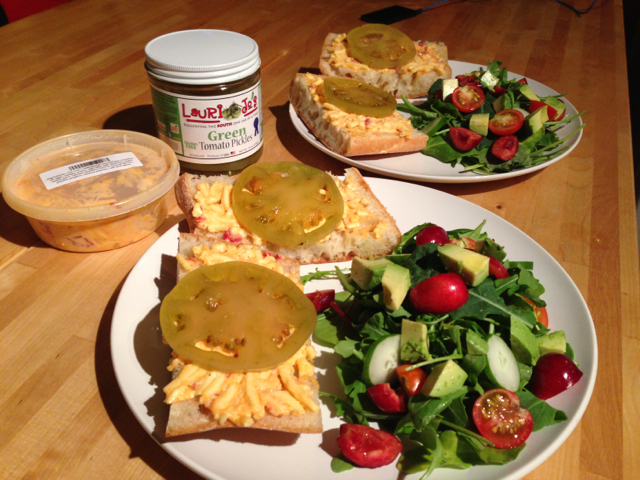 Our favorite way to eat Sweet Grass Dairy pimento cheese is on bread, open-faced and topped with a pickled green tomato slice. We serve these yummy open-faced sammies alongside a simple salad dressed with olive oil and vinegar. I highly doubt I would like any pimento cheese other than this one. We try to get up to Thomasville every few weeks and you can be sure whenever we are there, I come home with a tub of this cheese and plans for a simple, delicious dinner. If you are interested in trying this yummy cheese and don’t like anywhere near Thomasville, you can order it online here: http://sweetgrassdairy.com/products.